How to approach and talk to the Amish when wanting to make a purchase or an inquiry about their lifestyle is a concern today by those that desire to be politically correct. The Amish are like any other American group that has feelings and their own set of views that must be respected. 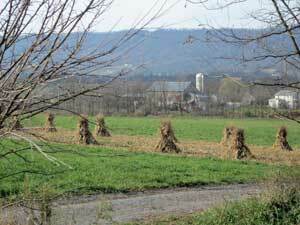 The view most misunderstood of the Amish is their way of worshiping God. They feel all of their free time should be to honor and worship him in all of his glory. 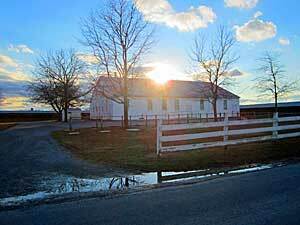 The thoughts of the Amish people should always be with God and his wishes in mind. As a good example of this is the reason they do not have pictures of themselves or their family taken. The Amish believe if they have pictures of their loved ones, then those people will be thinking about their family instead of God. When you are approaching a person of the Amish community, remember their beliefs and how they wish to honor and worship God. This way you will not attempt to have idle chit chat for long periods of time. For the Amish, that is a waste of time that could be better spent. When you enter one of their stores or shops, get to the point if you have decided to verbally interact with them. The Amish operate these shops as a source of hard cash, not for the entertainment of the outside world in which they refer to as the English. One of the most respectful manner in which you can interact and converse with the Amish people is to treat them as equals and not as if they were on display. They are people that are just like every other American except they wish to have has little interact with the outside world as possible. You should never just take their pictures because you want a memento. Pictures of the Amish people are generally forbidden. What is allowed are pictures of their horses, homes and items they produce, with permission. Remember the Amish people have a great deal of respect for all living things and expect the same level of respect to be shown towards them. One of the biggest mistakes non-Amish people make when visiting an Amish community is to begin petting the horses. Many think this would be a great conversational starter. Instead this is like an insult. The horses are the property of the owner. Just like anything else, if you do not own it or have permission to touch it, leave it alone, it is not yours. If there is a group of Amish and you desire to engage them verbally, do so with the male of the group. This is the respectful manner of approaching the Amish. If they do not desire to talk to you, then do not push it, which would be disrespectful. The best conversational starter is to engage the Amish to patronize one of their shops. Remember everything they do all day long has a purpose. By making a purchase, you are helping the Amish to be self-supporting, and they appreciate it.